Iron plays a crucial role in delivering oxygen throughout the body. If you don't get enough, you may develop iron deficiency. Meat is a good source of iron, but fruits and vegetables are another option for vegetarians or anyone who avoids meat. The National Institutes of Health indicates foods which provide 20 percent or greater of a nutrient's Recommended Dietary Allowance (RDA) are a high source of that nutrient. Although healthy, most fruits, vegetables, and meats are not considered high in iron and fall short of this equation. Some fruits and vegetables contain more iron than others. The following chart lists those that have the highest iron content. Many green vegetables have a higher iron content when cooked than raw. The nutritional values below come from Self Nutrition Data. 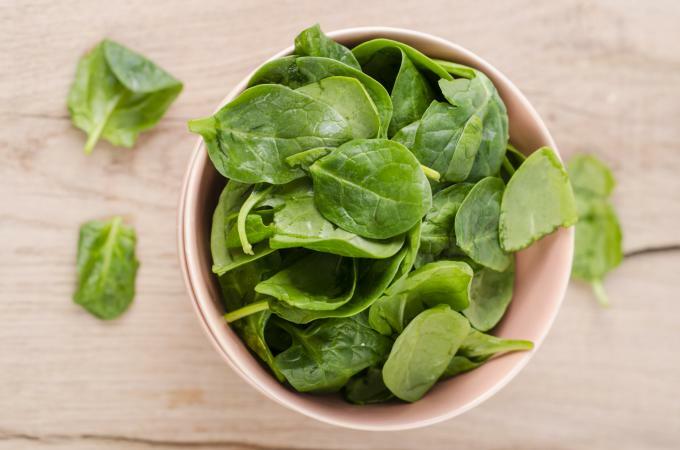 According to an article by Amanda Rose, PhD, it's also more challenging to meet the iron RDA if you eat vegetables with "iron inhibitors," which are foods or beverages that prevent the absorption of iron. On the other hand, eating foods rich in vitamin C, such as oranges, lemons, or grapefruit, helps your body absorb iron. It may be challenging to get your iron RDA by eating fruits and vegetables alone. However, if you eat them as part of a balanced diet that includes lean meats, legumes, grains, and seeds, you'll likely meet your iron goal. In addition, consider boiling or sauteing fruits and vegetables in a cast iron skillet. According to the Journal of Food Science, that will increase a food's iron content.